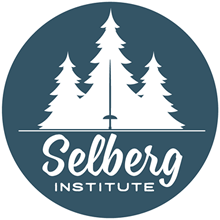 The Selberg Institute is proud to have sponsored local Greensprings artist, Deb Van Poolen, in the creation of three posters. 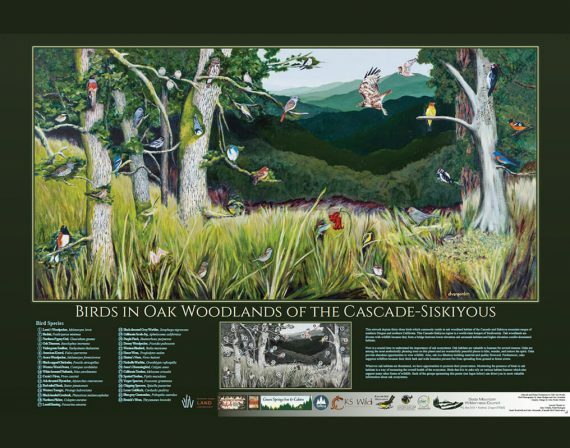 The artwork focuses on the region where the Cascade and Siskiyou mountain ranges meet in Southern Oregon and Northern California. Renown as a world-class hotspot of biodiversity, this area teems with life. The posters for sale are beautiful pieces of art, plus rich in educational and scientific information. They cost $30 each. 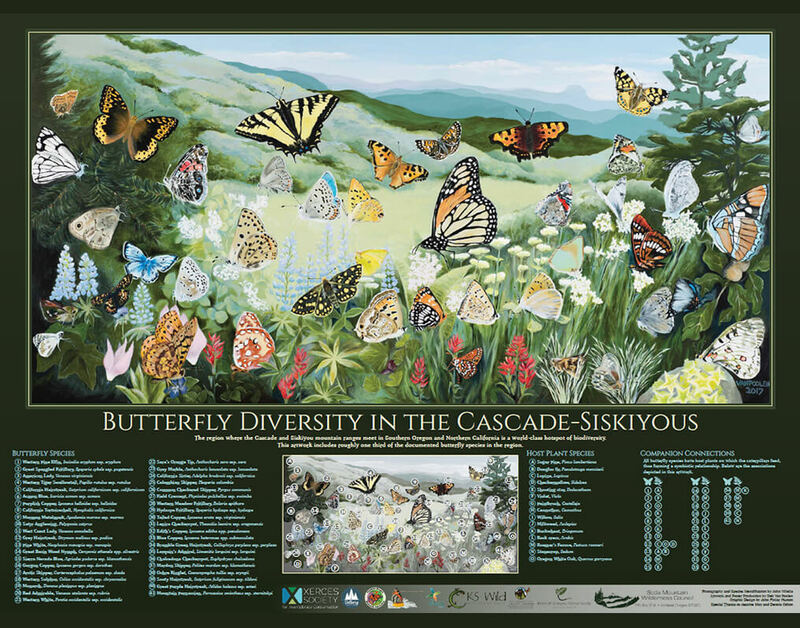 This artwork includes roughly one third of the documented butterfly species in the region. 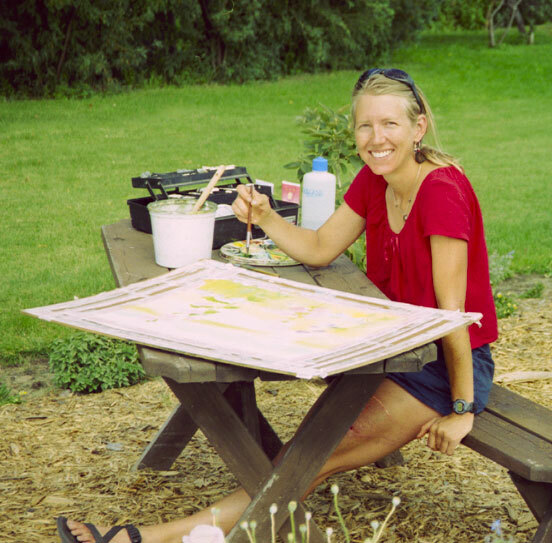 In addition to butterflies, it showcases host plant species and companion connections—plants on which the caterpillars feed, thus forming a symbiotic relationship. This poster depicts 14 species representing all the groups of native fishes within the Klamath River system. 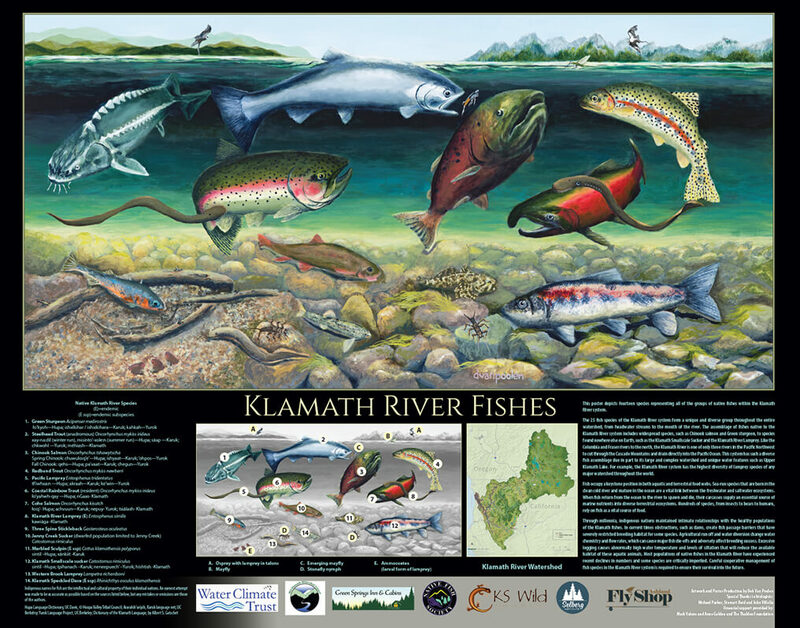 They include widespread species, such as Chinook salmon, to species found nowhere else on Earth, such as the Klamath Smallscale Sucker and the Klamath River Lamprey. This artwork depicts 33 birds which commonly reside in the Cascade-Siskiyou oak woodland habitat. Oak woodlands are diverse with wildlife because they form a bridge between lower elevation oak savanna and higher elevation conifer-dominated habitats.